30 Years! It’s time to Celebrate! 2014 marks UASI’s 30th year of service to the healthcare community and the credit for this fantastic accomplishment goes directly to our employees with their hard work and outstanding commitment to clients. Remember the “25 Reasons to Give Campaign” from our 25th anniversary? We’re doing it again, only better with the “30 Thirty 30” Campaign. 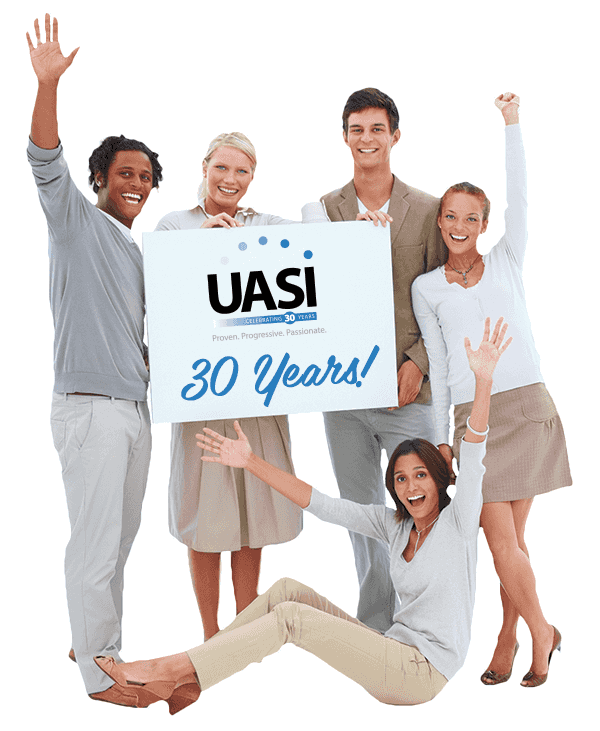 UASI will be celebrating 30 years in business, giving away $30,000, and encouraging employees to give 30 hours of time to a charitable organization. What a great way to celebrate! Helping our communities and recognizing and rewarding our employees. Celebrating 30 years and looking forward to the next 30!